A week and a half into daylight savings time and just a few hours before the first official day of spring, my balcony is blanketed with a fresh coating of snow, and the white stuff keeps coming down. Before we leave behind the hardy greens and show up at the farmers market each week to greet a new crop of, well, crops – pea shoots! morels! corn! zucchini! tomatoes! strawberries! blueberries! – I have one last kale recipe to share. You know, just in case the lamb part of March doesn’t arrive on schedule. This kale story started last week. It was one of those evenings after work when I found myself in the kitchen, hands on hips, peering listlessly into the fridge at a container of baby kale, a bag of carrots, a few stalks of celery, and, oh yeah, a dwindling bowl of Meyer lemons. Resisting the gelato just inches away in the freezer, I turned on my heel and climbed on the couch, plucking a cookbook off a pile en route and balancing it on my cross-legged lap. Canal House Cooks Every Day was the book. It had been floating around my apartment for a few weeks, from bed to coffee table to chair to said pile, spine-cracked but splatter-free. At first glance, the book is daunting. No picture on the front, no dust jacket, just a big red hardback with shiny gold and blue print. I could imagine mistaking it for a law text. Nestled among the gorgeous pictures, the recipes are written in big blocks of text that reminded me of one of my first cookbooks, Fannie Farmer, which, nostalgia aside, is not the most approachable of kitchen guides. But, and there’s always a but, in this case a fortuitous but, on that particular evening last week, I brushed my fingers over the cloth-bound cover, soft and warm to the touch, and went straight to the recipe index. 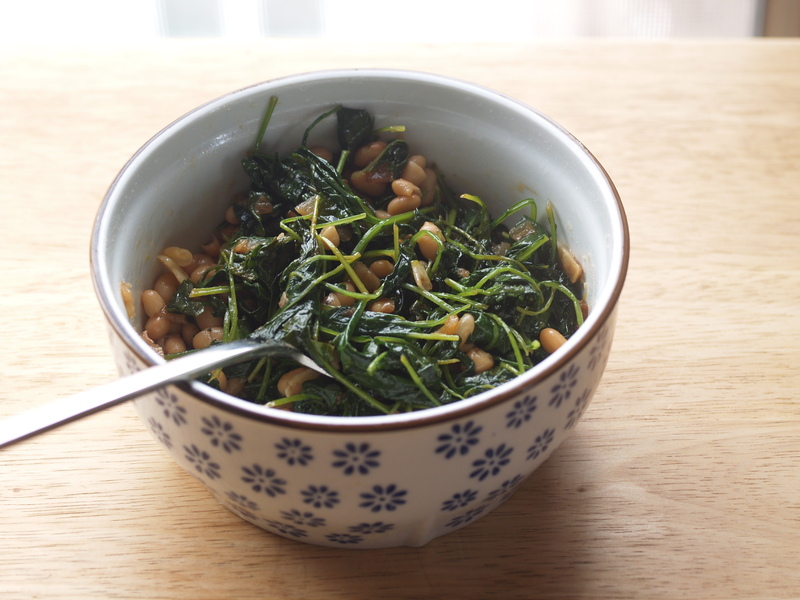 There was a single recipe under kale: Barlotti beans with sauteed baby kale, page 283. The ingredient list was short. The instructions, once you skip the part about cooking your beans from dried, were short too. 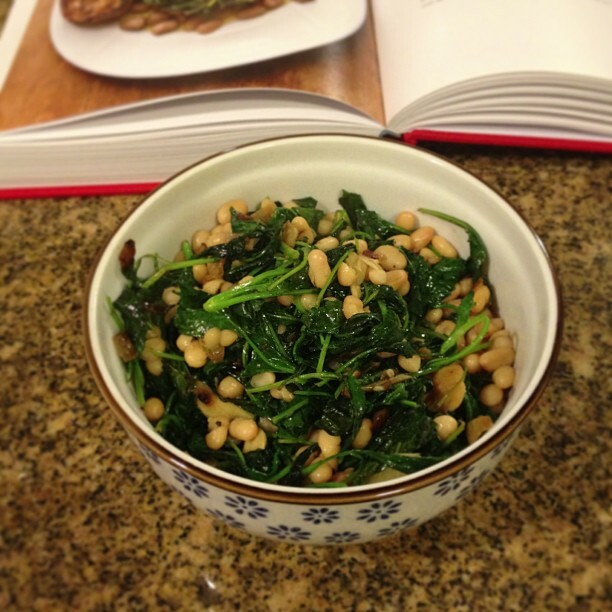 Less than twenty minutes later, I sat down with my bowl of beans and greens and started the book from the beginning, no longer merely skimming recipe titles. I read about how the author duo, Melissa Hamilton and Christopher Hirscheimer, left their commutes behind for a kitchen atelier in which to start a business, independently launching a thrice-yearly seasonal food publication. In between cooking and photographing sessions, the two women prepare lunch and other treats which turned into this cookbook, a compendium of a year’s worth of recipes. It’s what they cook every day without being everyday cooking (hence the title). I’ll admit, I had the same initial impression of Hamilton and Hirscheimer’s Every Day. Luckily I dug a little deeper to discover a gem. I suspect this first recipe will send me back to Every Day once that first spring produce arrives. Happy end of winter, all. And good riddance. Hamilton and Hirscheimer use borlotti beans and prepare them from dried, but I like tender, thin-skinned cannellini beans and I had a can of them just waiting in my pantry. The only thing this dish could use is a crunch. I think next time I’ll add some toasted pine nuts. Heat 2 tablespoons of olive oil in a large skillet (mine is 11-inches in diameter) over medium-high heat until shimmering. Add a chopped onion and saute until brown (you’re almost stir-frying here). Lower heat and add 2 garlic cloves, cut into thin slivers. Saute until the garlic softens, but don’t let it burn. Add to the pan 3 large handfuls of baby kale (if you’re the measuring type, this is about 3 packed cups) enough to fill the pan to overflowing. Let the kale wilt, stirring periodically, until all of the kale is a bright dark green. Meanwhile, drain a 15.5-ounce can of cannellini beans and rinse a few times with cold water. Add them to the skillet and stir until warmed through. Sprinkle with salt and pepper. Zest and juice a lemon over the skillet. Love kale! The recipe looks good.